When interviewed recently Paul Simon talked about the wonders of that song-writing process when you stumble across something magic. He described Bridge Over Troubled Water, for example, as one of those rare moments that some people are lucky enough to get once during a career. His recording work with Art Garfunkel, despite finishing more than three decades ago still, in many ways, defines him. Since then of course Simon has forged a very successful solo career, and his albums are still greeted with great interest. More than twenty years after Graceland though, that album is still used by many as a benchmark for his solo records. Since then, Simon has moved on significantly, and the process of getting older and thus becoming more reflective is more apparent with every release. Elsewhere there are trickier moments with The Afterlife a slightly uncomfortable cross between The Obvious Child and Boy In The Bubble, while Love And Hard Times' delicate vulnerability is a touch too introspective. Opening track Getting Ready For Christmas was released as a single in the States last November, but hearing it in the middle of summer just doesn't feel right! 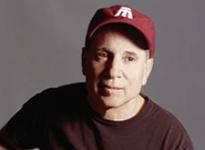 Paul Simon is on a growing list of artists that started their careers in the sixties and are into their eight decade. Rock and Roll will were always told is a young person's game but some of the old guard are still proving that's definitely not the case.